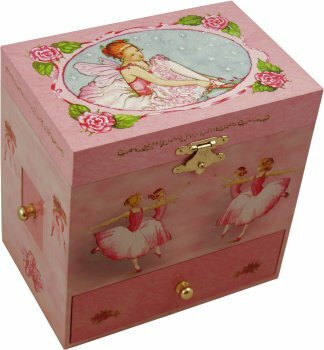 For beautiful ballerina's who love to hide their trinkets & treasures. This music box has four little drawers for secret storage ! One on each side of the box, front & back. 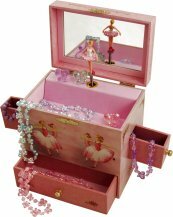 Open the jewellery box to hear the music play and watch the ballerina twirl to the music in the mirror.